10 Must-Try Brews in the Carolinas | Brews Cruise, Inc.
North and South Carolina are greatly endowed with tourist destinations including Charleston, Asheville, Outer Banks off the coast of North Carolina, Hilton Head, and Greenville. When visiting the Carolinas, one of the most exciting and interesting items that should be in your bucket list is beer tasting or brewery tour. Brews Cruise, Inc. offers fun and informative brewery tours in Asheville, Charlotte, and Raleigh North Carolina, and also in Charleston and Greenville South Carolina. While you enjoy the breathtaking scenery of the Carolinas, you will learn and enjoy the many wonders of beer and brewery. 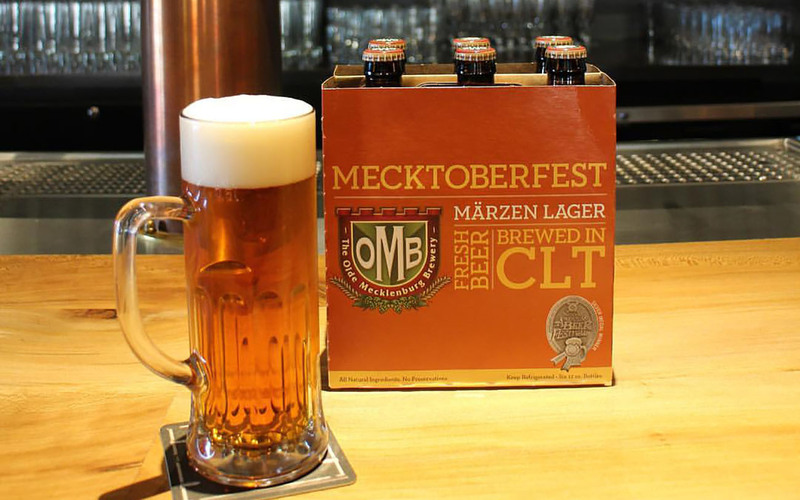 Mecktoberfest is a Marzen amber lager style that is lusciously rich, malty and super smooth. Munich malt, noble hops and a yeast strain from the oldest brewery in the world make this lager the most authentic beer that will truly quench your thirst. This European Beer Star Gold Winner is the pride of The Olde Mecklenburg Brewery and is included in the Charlotte Brews Cruise package. Charlotte Brews Cruise offers various brewery tour packages including Saturday Public Brewery Tour, Private Brewery Tour, and Customized Brewery Tour. Charlotte Brews Cruise is committed to uniting all beer enthusiasts, whether residents or visitors, to the city’s burgeoning craft beer community. Nickelpoint Vienna Lager is an award-winning amber lager that is very much like the Marzen but with lower gravity. It is a blend of moderately-rich German malt aroma and a firm hop bitterness with elegant malt complexity. The overall impression may be characterized by a soft and sophisticated maltiness that dries out in the finish. Vienna Lager won 3rd place in the North Carolina Brewers Cup for the Commercial European Amber Lager category. Vienna Lager is one of Nickelpoint Brewing Company’s pride in terms of hand-crafted beers. Enjoy tasting all mouth-watering beers of Nickelpoint Brewing Company when you book for a brewery tour package with Raleigh Brews Cruise. Holy Water is the latest flagship addition to Frothy Beard Brewing Company’s beer collection. The name, Holy Water, is taken from the new location name which is also a former church, the Holy City. Holy Water is a saison farmhouse ale composed of 4.5% ABV. Holy Water is on tap of Frothy Beard Brewing Company together with Sage of Blackberrius, Fat Albatross, Pelican Pilsner and other delectable selection of rotating and staple beers. Visit Frothy Beard Brewing Company when you book a brewery tour package with Charleston Brews Cruise. Experience a taste of Charleston’s flourishing beer scene with an exclusive local craft brewery tour packages. Pendragon Porter is a smooth and lush layers of roasted coffee and chocolate. Every glass of Pendragon Porter is a refreshing and aromatic medium-bodied concoction that gets tastier to the bottom of the glass. Pendragon Porter is voted best in show and a gold medal winner at the 2016 Brewers Cup. Fortnight Brewing Company prides itself on year-round core range, seasonal, and Kombucha beer concoctions that will surely make you ask for more. Fortnight Brewing Company is a part of the Raleigh Brews Cruise package. We offer knowledge-based brewery tours that will educate you about beer brewing processes, different types of beer, and what makes each brewery in Raleigh and Durham standout. Kolsch Style Ale is a 2014 World Beer Cup Gold Awardee. 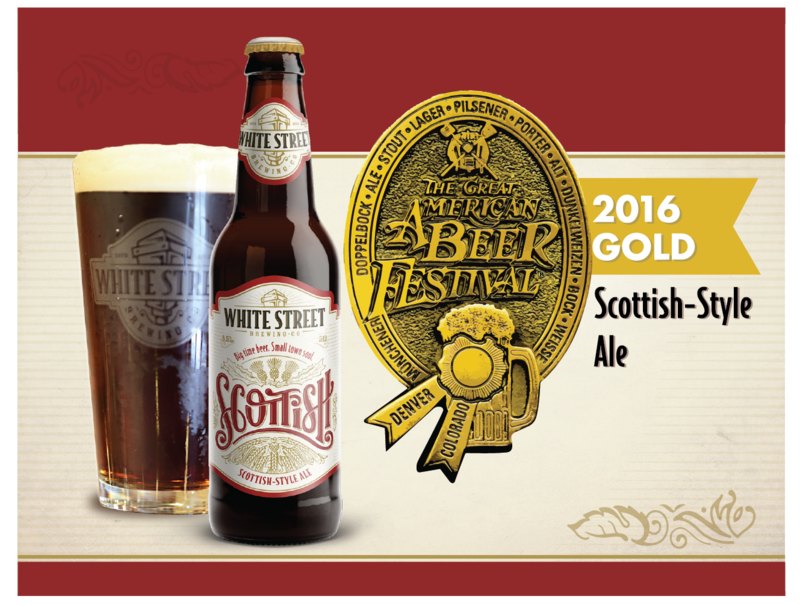 Kolsch Style Ale of White Street Brewing Company is a reinvention of centuries-old traditions while creating the perfect balance of flavor and approachability. White Street Brewing Company is committed to producing high-quality, meticulously brewed and well-balanced ales and lagers. Kolsch Style Ale is their gold standard in craft light beers. This ale pours a clear and gold with a fine white head that is crisp and refreshing. Booking for a Raleigh Brews Cruise may include White Street Brewing Company in your brewery tour package. With over 30 local breweries, our brewery tour packages will take you behind the scenes and experience what’s brewing in Raleigh and Durham. Pluff Mud Porter is the second flagship of Holy City Brewing Company that brought the American porter style to the Charleston market proper. It presents a classic porter with subtle chocolate essence and a silky finish. This beer is a mixture of dirt and water indigenous to the marshes of the South Carolina Lowcountry. Pluff Mud Porter has a distinct odor that is very endearing to the locals. This medium bodied brew has a well-tamed ABV that keeps it refreshing at all times. Holy City Brewing Company is in partnership with Charleston Brews Cruise in providing a whole new level of a beer-tasting journey for you and your loved ones. Hogwild IPA is a golden brew that is made with pale ale and Vienna malts. It is brewed with a veritable feast of Chinook, Columbus and Cascade hops with Magnum and Willamette. Hogwild IPA is rated 94 Exceptional by the Draft Magazine in January 2013. This India Pale Ale blend is a very hoppy and invigorating award-winning thirst quencher. Hogwild IPA is the pride of Aviator Brewing Company. This ale has a sticky caramel and pine scent, with a swirl of juicy tangerine and lightly toasted malts that give an absolute pleasure in every gulp. Let us taste the beer adventure of Aviator Brewing Company when you book a brewery tour with Raleigh Brews Cruise. 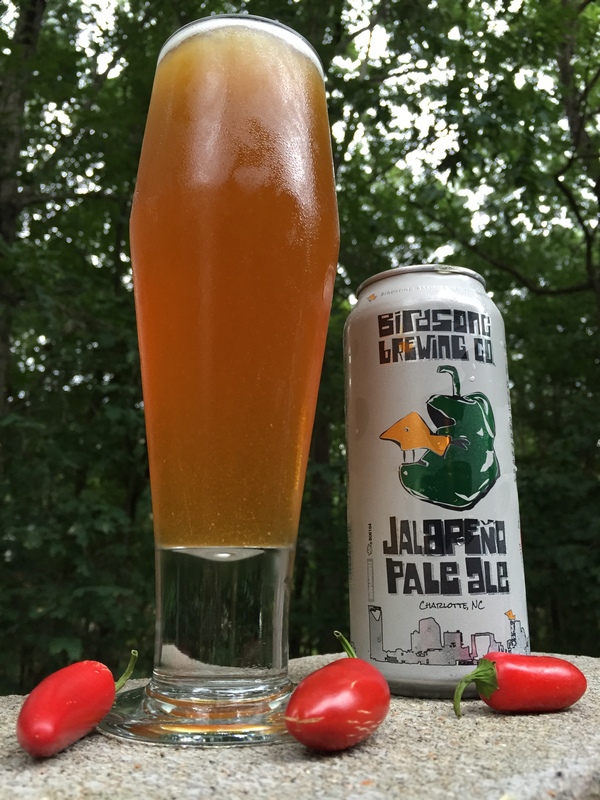 Jalapeno Pale Ale is a classic brew of free will pale ale and dosed with a hefty amount of fresh hand-picked jalapeno peppers. Enjoy the subtle flavor and aroma of jalapeno without the heat. Jalapeno Pale Ale is a perfect variation to the usual tangy and aromatic taste of classic ale. This blend is one of the many concoctions of Birdsong Brewing Company. Taking the Birdsong Brewery Company in your Charlotte Brews Cruise package is the best, fun, beery-exciting way to dive into the Charlotte Brewery Scene. Golem is a strong Belgian golden ale made from yeast flavor contributions. This is a wicked and dangerously drinkable Belgian pilsner malt brew with portions of wheat, oats, corn, European noble hops, Saaz, and a true Belgian sugar candy. Golem is a pure blend brew with no fruits or spices that may alter its “beeriness.” Wedge Brewing Company uses only the freshest and highest quality of malt, hops and adjunct ingredients. Join the beery refreshing adventure with Wedge Brewing Company and other breweries included in the Asheville Brews Cruise package. The Southern Style of Brewery 85 is an American Pale Ale with a very distinct taste of the South. With every sip of Brewery 85 Southern Style, expect crisp, hoppy notes with a floral aroma, and a refreshing malty backbone of a medium-bodied combination of IPA and old pale ale. Enjoy a sampler of Southern Style Pale Ale with your Greenville Brews Cruise at Brewery 85. Southern Style Pale Ale is designed to be savored with long and fun conversation. Book a tour for an Eastern or Southern Greenville Area Tour Package to enjoy the refreshing taste of Southern Style Pale Ale. Experience the best and most exciting brewery tours in North and South Carolina! Brews Cruise, Inc. provides informative and beer sampling benefits to all beer aficionados who want to go Cruisin’ for a Bruisin’ in the Carolinas. Contact us to learn more about our brewery tour packages.